Üsküdar Çevresi: Quotation: Princeton University A World History of The World, "Cuban Perspective of America"
Quotation: Princeton University A World History of The World, "Cuban Perspective of America"
through off the shackles of colonialism. Furthermore, he heartily believed that revolution as inevitable in Latin America—that other countries would (and should) follow Cuba’s lead and revolt. 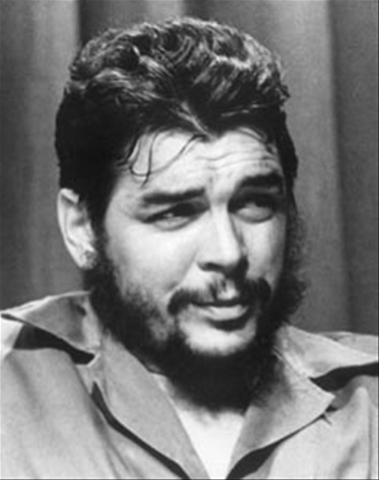 As he says in the speech he gives at the meeting: “Cuba is not an isolated event but rather the first signal of America’s awakening” (Guevara 44). power in the world and viewed Cuban as inferiors. In many political cartoons in the U.S., the Cubans are depicted as barbaric people who dress oddly and look almost like monkeys or gorillas. In almost every cartoon, the U.S. is depicted as helping to civilize and guide the rowdy Cubans. Additionally, the Cubans are represented as having black skin, which also reflects the racial stereotypes and discrimination that was occurring in the States at that time. Like the notions that Americans had about blacks, people thought that the Cubans were violent, lazy, and unintelligent. These perceptions can especially be seen in the third cartoon in which the white and well-mannered Puerto Rican boy is starkly contrasted with the rowdy and wild black Cuban. 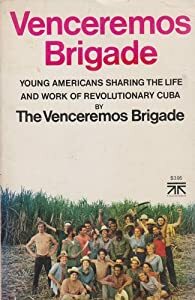 In an excerpt from Venceremos Brigades by Sandra Levinson, US citizens who go to Cuba during their revolution see the Cubans as constant partiers and people who find a constant source of celebration in the revolution. One person notes that “The Cuban are like superthyroid freaks; the men will make music and dance and screw around at the drop of a hat.” The idealistic Americans think that the Revolution gives them joy and again, the Cubans are portrayed as wild and rowdy people.